Is rising income inequality un-American? That's essentially the question Federal Reserve Chair Janet Yellen raised Friday in a speech on the widening gap between rich and poor in the United States. "I think it is appropriate to ask whether this trend is compatible with the values rooted in our nation's history, among them the high value Americans have traditionally placed on equality of opportunity," the central bank chief said. 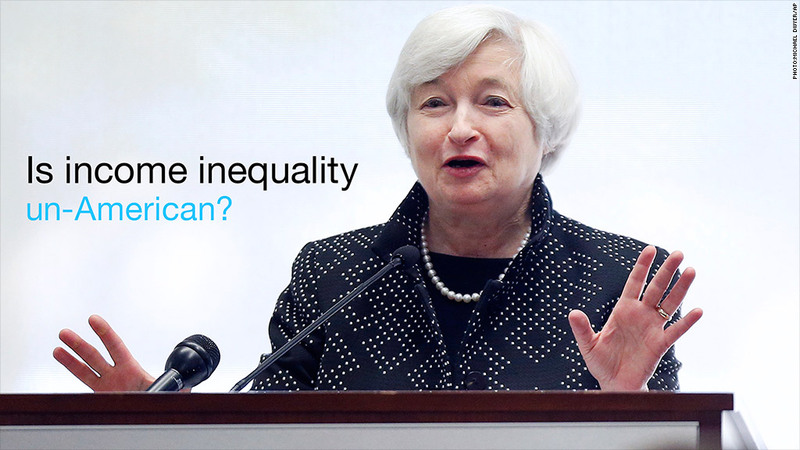 By some measures, Yellen said economic inequality is near the highest levels in the past hundred years. 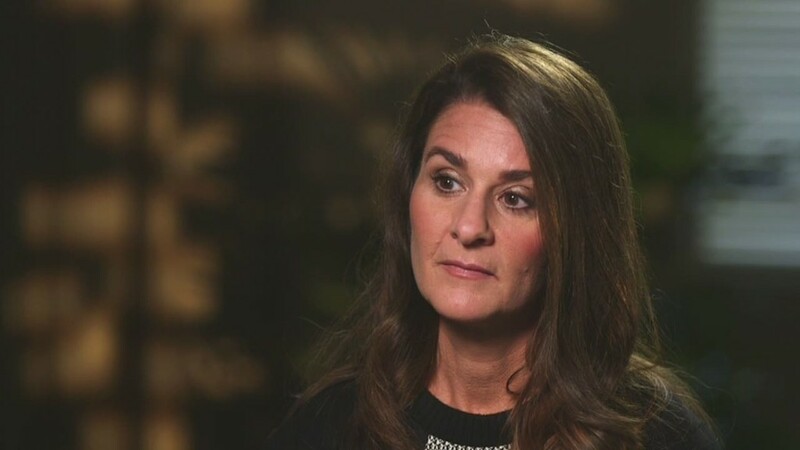 This continued rise of income inequality "greatly concerns me," she said. The remarks are somewhat unusual for the nation's top monetary policy maker, since the Fed is primarily tasked with managing interest rates and fostering employment. But income inequality has grown severe enough that the Fed is holding a conference on the topic at its Boston branch. Since the Great Recession of 2007 to 2009, income inequality has become an increasingly populist issue. The booming stock market has disproportionately benefited the wealthy, while the recovery in jobs and also of home prices has been slow. Yellen said it's taken several decades for the current disparity between rich and poor to reach this point, where living standards for a majority of Americans has stagnated, while wealth at the top has ballooned. Yellen said some degree of inequality is to be expected and can create incentives for people to work hard, get an education or take other steps to improve their situation. But she warned that greater income inequality can lead to a decline in economic mobility across generations. Citing figures from a recently released Fed survey, Yellen said a greater amount of wealth is increasingly concentrated in the hands of few -- the wealthiest 5% of American households held 63% of all wealth in 2013, up from 54% in 1989. Compared to that, the poorer half of all American households held just 1% of wealth in 2013, down from 3% in 1989. "In such circumstances, society faces difficult questions of how best to fairly and justly promote equal opportunity," she said. While she did not offer specific recommendations, Yellen did identify some areas that needed to be debated. She said research has already shown the benefits of investing in early education for children, but that there are huge challenges when it comes to paying for college. In addition, she said it's becoming harder to start a small business and noted the role inheritances play in perpetuating income inequality.